Has an artistic education, the Art Institute first and then the ISIA (High School of Industrial Design) in Florence, that constantly bring him towards experimentation. He is interested in issues regarding industrialization, and in 1991 is among the members of the international designers’ team in the French company Allibert, where he works and becomes a manager until 1997. In 1999 he opens his own studio in Milan, goes back to research projects, and for several years conceives and organizes exhibitions that allow him to elaborate on his analyses and theories on perception and cross-contamination of daily-life objects. He collaborates with Italian and international companies and has taught in several universities. 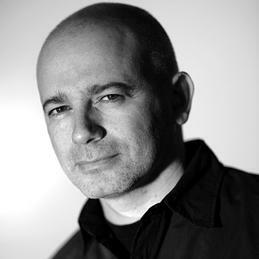 Since 2006 he is consultant in Design and Innovation for the maison Hermès. Recentely has been presented the exhibition CHE FARE in collaboration with Enzo Mari and he just present the METEORITE book, where he talk about the project process.